My love and I took the side dirt roads to do a nocturnal reconnoiter of the reservoir. 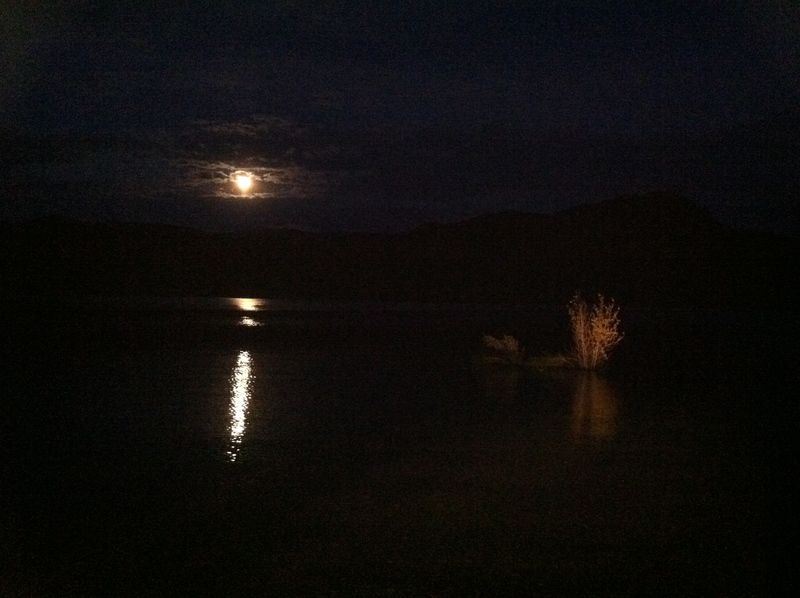 We found a full moon, water levels risen since last summer, and a weed 15 feet out. It used to thrive on the sandy beach, but now was doing quite well surviving in the shallows. It made for a nice view at the water’s edge.